(ROSEMONT, ILLINOIS) - The Cavaliers are pleased to welcome Monte Mast in the role of Executive Director for 2019. After a thorough nation-wide search Mast was selected from almost 100 candidates interviewing for the position. Monte will be responsible for the vision and administration of the organization, with an emphasis on revenue development, donor relations, management, and the safety and well-being of our members and staff in all of our performing ensembles. Monte will officially join the team on July 1st, 2019 and will be transitioning into the organization with the help of a strategic hiring committee consisting of The Cavaliers Board of Directors, office staff, members of The Cavaliers Alumni Association, and key stakeholders in the organization. In preparation for July 1st, Monte will also be engaging with parents, vendors, strategic partners, and the Village of Rosemont to gain an understanding of all the working dynamics within the organization. Having spent the previous 12 years as the Director of Fine Arts for the Klein Independent School District (Houston, Texas), in addition to 20 years as a band director at several different schools, Monte brings a wealth of marching arts, administration, and financial management experience to the Cavaliers team. An alumnus of the Bluecoats, Phantom Regiment, and having more than 20 years of judging experience with Drum Corps International (DCI), Monte is prepared to help shape the future growth of the organization. 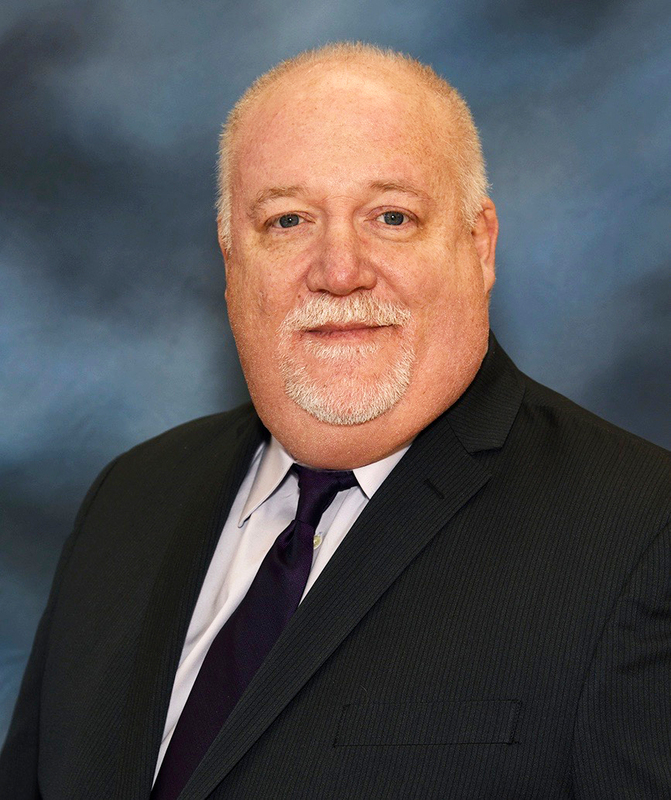 Prior to joining The Cavaliers, Monte Mast held the position of Director of Fine Arts for the Klein Independent School District in Klein, Texas for 12 years. A graduate of the University of Akron, he taught for one year in the Coventry Local School District before he was recruited to teach in Texas. He spent five years at Calallen Middle School before accepting the position of Assistant Band Director at Klein Oak High School. In the 13 ½ years he spent as the assistant or associate band director at Klein Oak, his bands were UIL Sweepstakes winners, two time Best-in-Class and three time runner-up festival winners, and three time UIL Area Marching Contest participants. He became the first Fine Arts Program Coordinator for Klein ISD in January 2006 and stepped into the role of the Director of Fine Arts after the retirement of his mentor, Bob Blanton, in July 2007. Whether as a performer, staff member, designer or judge, Monte’s marching arts experiences have been important parts of shaping his career. His involvement in drum corps started in 1981 with the Bluecoats and was horn sergeant and soprano soloist in the 1982 season. When the Bluecoats went inactive in 1983, Monte joined the Phantom Regiment in 1984 where he finished second at DCI individuals on soprano bugle. Those experiences led him into becoming the primary visual designer for more than a dozen bands in Texas, Ohio, Missouri, and Kansas. After moving to Texas, he judged indoor guards for the Texas Color Guard Circuit for ten years including four championship panels. He spent three years as a member of the Phantom Regiment brass instructional staff and was instructing the corps in 1996 when they won the Jim Ott High Brass Trophy and their first Drum Corps International title. Monte started judging for Drum Corps Midwest in 1998 and transitioned to Drum Corps International where he was an adjudicator in the activity for 20 years and judged on multiple championship panels. Between drum corps and marching band, he has judged contests in 40 states including state championships in 11, including multiple Texas UIL SMC and ISSMA Finals assignments. Monte recently celebrated his 21st anniversary with his wife Karen. They have two children; Garrett (string bass player and theatre techie) and Julianne (theatre offionado and oboist). In his limited spare time, Monte loves travelling and exploring ethnic cuisines, drinking the best coffee he can find, and is an avid oenophile (wine geek). You can reach Monte Mast at Monte.Mast@cavaliers.org.